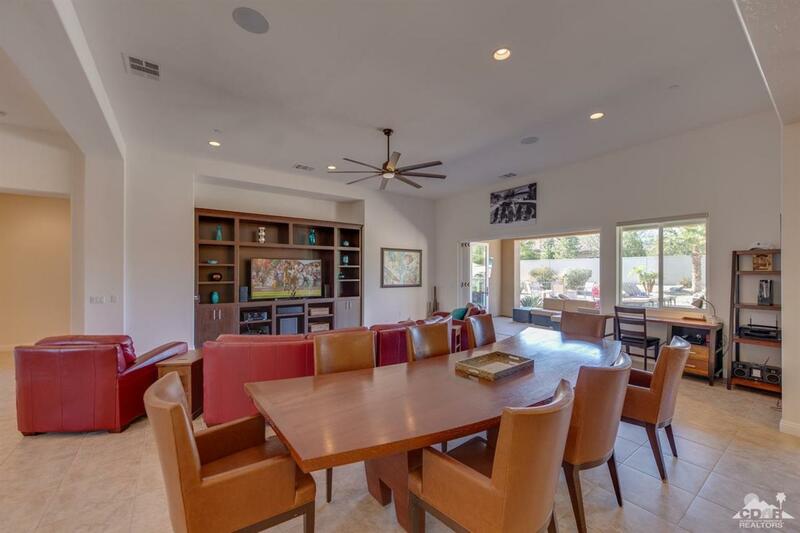 This amazing home located behind the gates of Madison Estates has nearly 4,600 square feet of open living space and sits on over a half acre lot. With 4 bedrooms, 5 bathrooms and a bonus room, this fantastic home with a soft contemporary feel has plenty of upgrades. The great room with a built-in media niche has an expansive accordion glass door making the transition from inside to outside effortless. 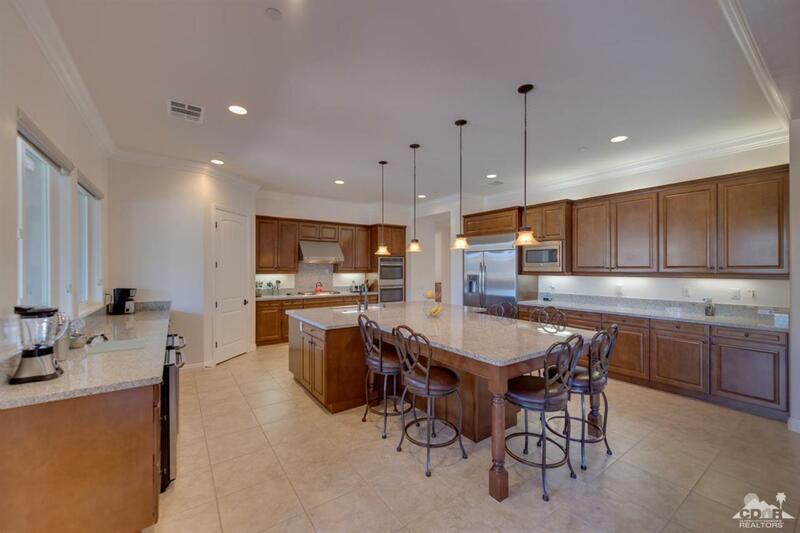 A gourmet kitchen with rich wood cabinetry, granite slab counters, stainless steel appliances, wine refrigerators and walk-in pantry will impress any chef. 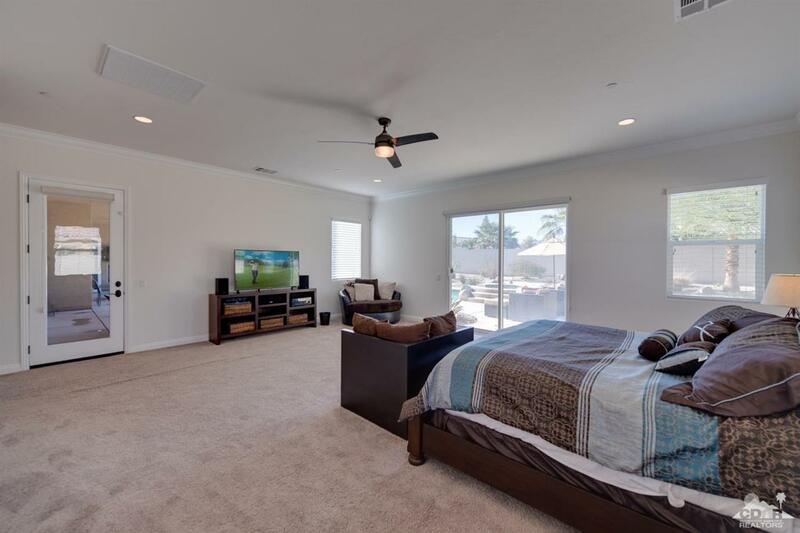 The Master suite with rear patio access is massive, and has an equally impressive Master bath with dual sinks, large shower, soaking tub and a walk-in closet with owner's lock off for personals. The outdoor area is an entertainers delight, with lounging area, TV, fireplace, large pool, with tanning shelf and spa, complete with built-in BBQ and misters. Close to the world famous Polo Grounds host to Coachella Fest and StagCoach. Listing provided courtesy of Craig Conley of Bennion Deville Homes. ©2019 California Desert Association of Realtors. All rights reserved. IDX information is provided exclusively for consumers' personal, non-commercial use and may not be used for any purpose other than to identify prospective properties consumers may be interested in purchasing. Information is deemed reliable but is not guaranteed accurate by the MLS or Brad Schmett Real Estate Group or eXp Realty of California, Inc.. Based on information from the California Desert Association of Realtors as of 2019-04-20T12:36:49.247. All data, including all measurements and calculations of area, is obtained from various sources and has not been, and will not be, verified by broker of MLS. All information should be independently reviewed and verified for accuracy. Properties may or may not be listing by the office/agent presenting the information.